Just a quick look at these cos they’re nasty ol’ quartz watches (he says with a quartz casually slapped on his wrist – I didn’t say they weren’t convenient!). 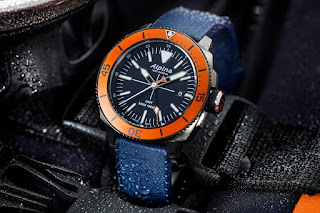 Alpina has expanded its Seastrong Diver collection to include a lineup of semi-affordable, useful grab and go quartz GMT divers. These are the models of the Seastrong Diver GMT collection which have 44mm Stainless steel case with Titanium PVD coating. 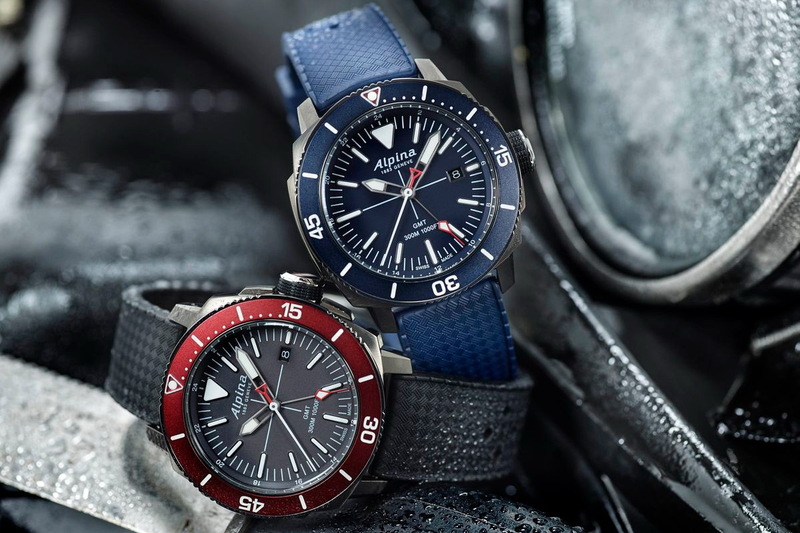 The Seastrong Diver GMT collection offers diversity through its wide range of bezel, dial and strap colors. 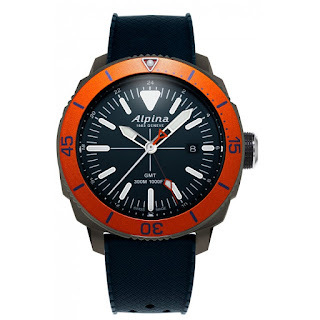 Choose from a bold blue dial and strap combo, topped off with a bright orange bezel or a more subdued grey on grey look with a matte finished bracelet. 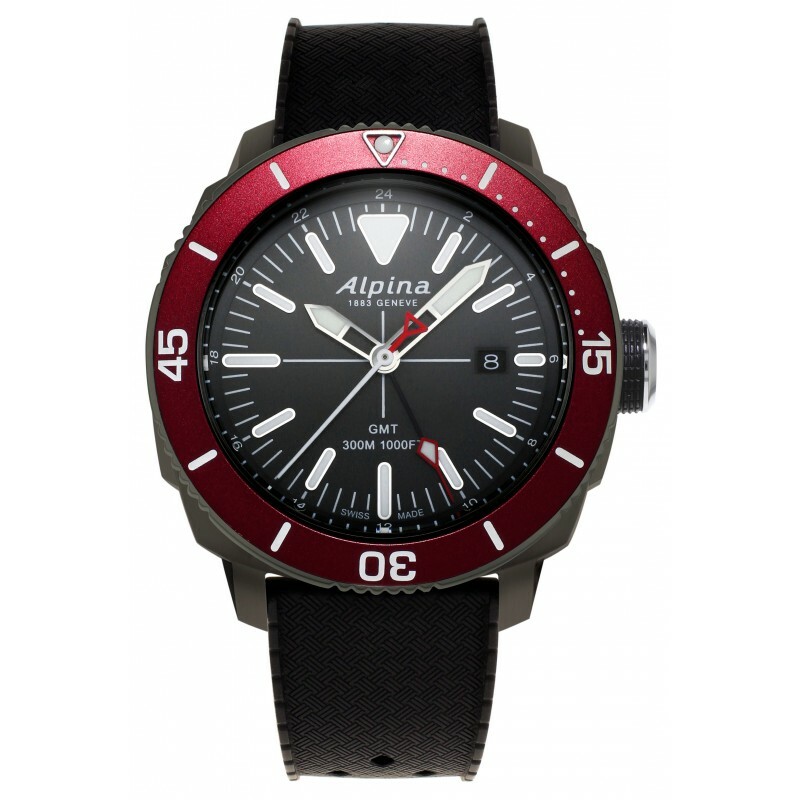 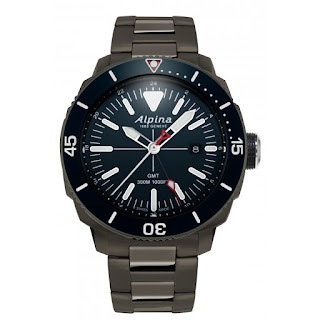 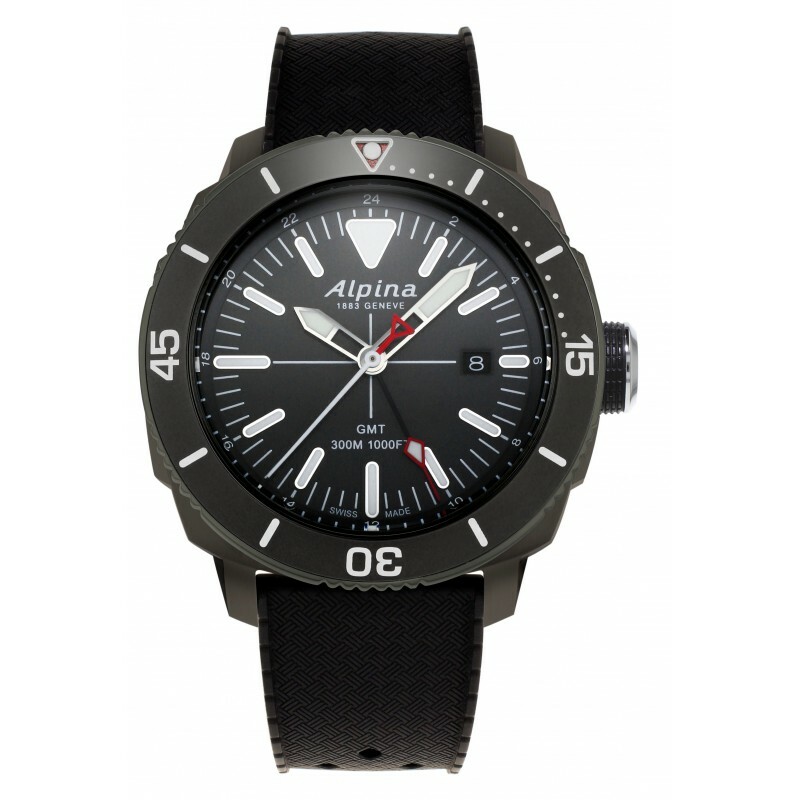 Powering the models is an Alpina AL-247 Quartz caliber with a single and a battery life of 25months. 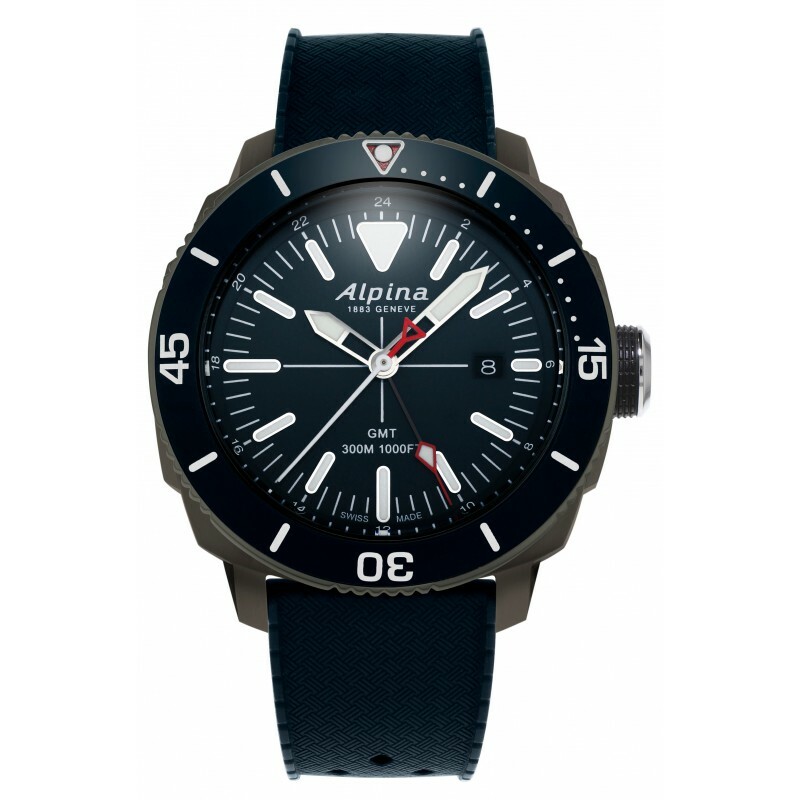 As members of Alpina’s Seastrong Diver family, these guys are fitted with rotational divers bezel, screw-down case-backs and crowns and have 300 meters of water-resistance. Further features include: GMT hand, lumed seconds hand, black date window at 3 o’clock. 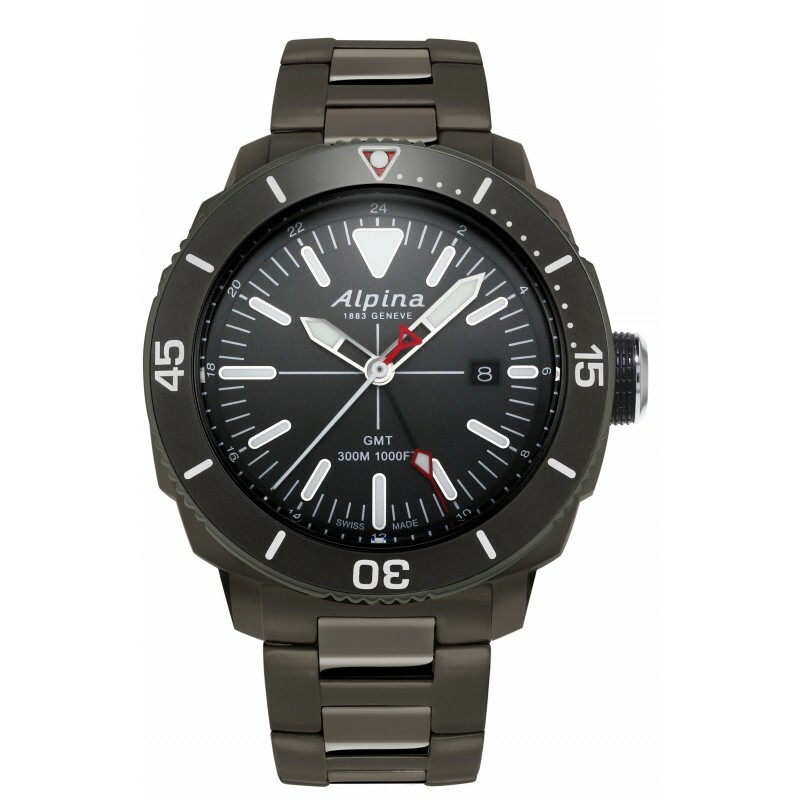 The watches are presented on either Titanium-PVD bracelets or tropic-style rubber. Thoughts? Really not bad looking watches BUT so much more interesting options out there in this price category plus I have always found Alpina a little uninspiring as a brand (don't troll me, please).